One of the things I’m looking forward to most about our new house is the closet. 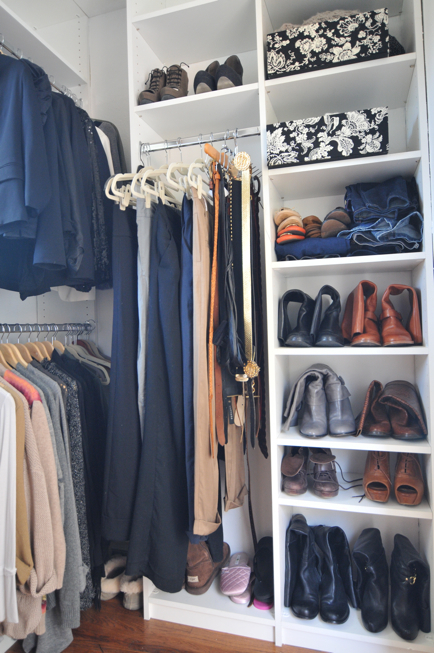 I currently store my clothes in three different spaces, my closet, a hallway closet, a dresser and an armoire. I am looking forward to having everything in one place! Right now there is a slightly awkward room adjacent to the master bedroom. When we move in I plan on turning it into a small, yet magnificent closet. 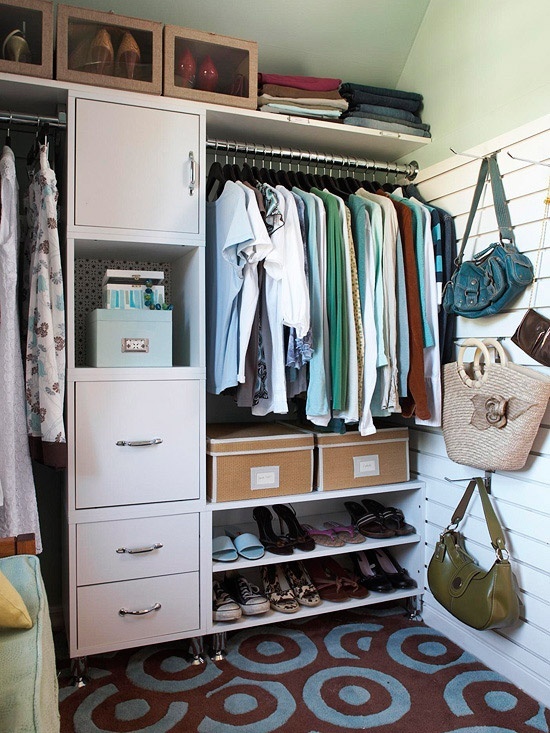 Below are some small, practical and vey pretty closet spaces. I think that Emily from Cupcakes and Cashmere has a space that resembles mine the most, small space with a window, but she uses it so nicely you’d think it was huge. 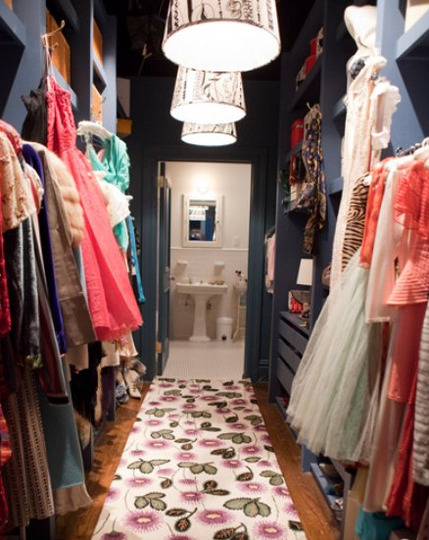 What’s your closet situation? I always love a well organized closet 🙂 but mine is always stuffed full. happy thursday! breathtaking set, mandi! but, of course, looking at these is just reminding me that i ought to be organizing my closet rather than blogging. go figure. xo! 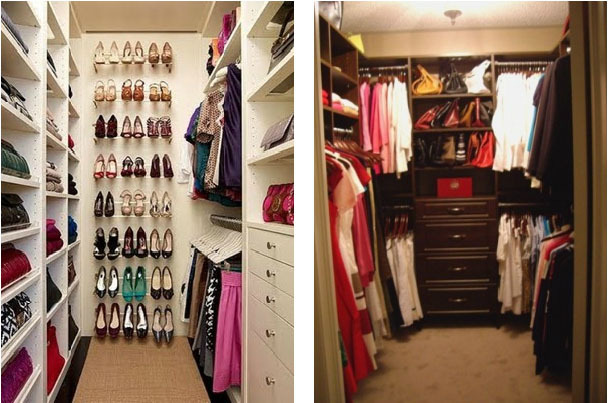 I wish I had a need for closets this big and amazing! Here in Switzerland homes don't really have "closets" you have to buy some big external closet type thing at Ikea. Or chests, drawers etc. We have two of these to hang our clothes on and they are fun! When we move to the states I would like to have some like it.